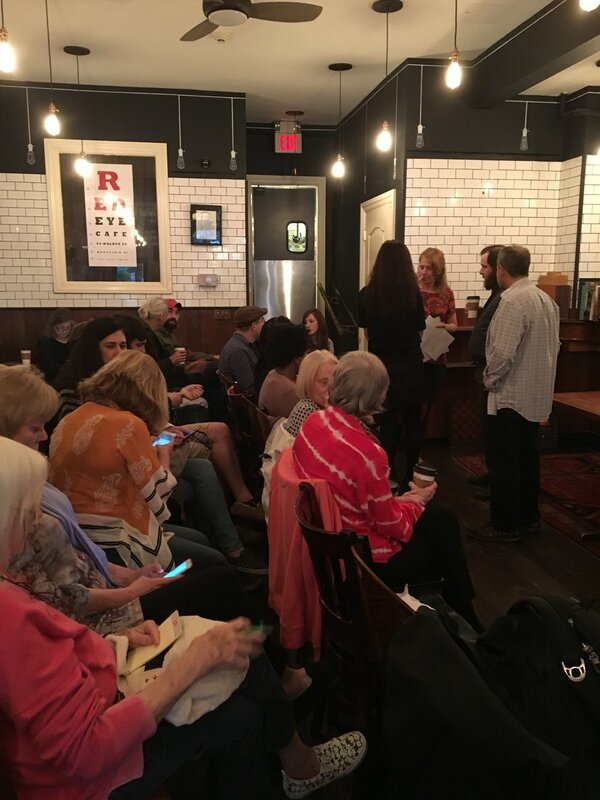 For our final reading of the 2016-7 season, we welcomed Nicole Cooley, David Galef, Cynthia Manick, and Craig Morgan Teicher to the Red Eye Cafe. 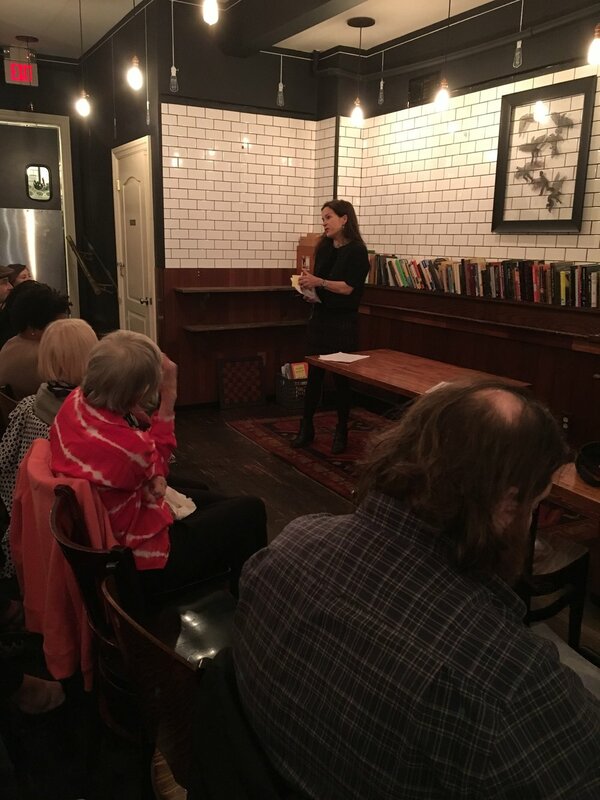 Nicole Cooley, a Glen Ridge resident, read from two compelling forthcoming works that take dolls as inspiration, one poetry and one nonfiction. David Galef, who teaches at Montclair State University, read amusing flash fiction from "short to shorter to shortest." Cynthia Manick, visiting from Brooklyn, read from her beautiful, acclaimed debut poetry collection Blue Hallelujahs, as well as a newer poem about self-care. Craig Morgan Teicher, a Verona resident, read moving, and at times funny, poems from his newest collection, The Trembling Answers. After they read from their work, the readers joined series host and cofounder Apryl Lee for a Q&A. The first question from the audience was for Apryl: "Why is the series called Halfway There?" An audience member correctly guessed that it was after the Bon Jovi lyric from "Livin' on a Prayer." "We tried to find a Springsteen lyric..." Apryl said. The title also alludes to works in progress, our focus on emerging writers, and our proximity to New York City. Asked about how they start projects, Cynthia Manick said that she hates writing, but loves when she's done. Craig Morgan Teicher described how parenthood inspires him, as well as investigating how he got to where he is in his life. David Galef said he starts with an "absurd 'what if' premise." Nicole Cooley said that she never relies on feeling inspired to write, but rather tricks herself into it, saying things like, "Let's write with my eyes closed for ten minutes..." Manick agreed and said, "How about writing in this corner of the page, then that corner of the page?" Nicole said she often says to her students, "if the worst thing you did all day is write a bad poem, you're having a pretty good day." Words to live by! See you next season everyone! Stay tuned for our 2017-18 dates. Thanks for a great year!